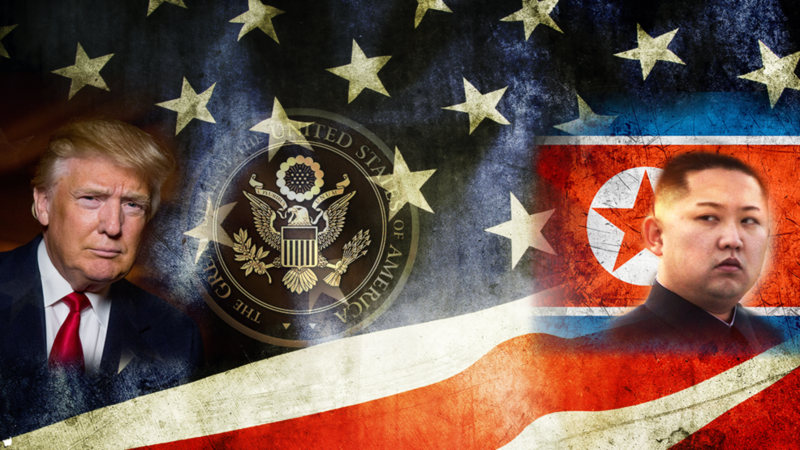 Sharyl: On North Korea, in a recent poll 50 percent of Americans said it's somewhat likely that North Korea will use a nuclear weapon to attack America. Do you agree? President Trump: Well I think that's a shame that it's so many. No, I don't agree. I actually don't. I hope that something's going to be worked out if it's not it's not. But I really do hope that something is going to be worked out. We'll see what happens. I do believe that China where I'm going very soon and President Xi has been working. I really feel this. He's been working very hard to see if he can do something but we're going to see. But I think that estimate hopefully is extremely high. Sharyl: Do you think there's work you can personally do on this trip that will lessen the threat. President Trump: I mean we're going to see what happens. I can tell you that there's not going to be something bad happening in terms of what we're going to do or maybe what they're going to do. But I can tell you that we are very very strong nation getting stronger all the time not only our economy but our military. You see what we've done with ISIS in eight months. I've done more than the previous administration done during the entire two terms of the administration, and we are going to have to solve problems like North Korea and North Korea is a big big problem. Hopefully, it can be worked out. Maybe it won't be able to but hopefully, it can be work. Sharyl: Would you ever consider sitting down with a dictator and someone mentioned to me that President Nixon went to China to meet with Mao Reagan met with Gorbachev is there any parallels there would there be a scenario in which you could envision doing that. President Trump: Well I'm meeting with different people from different countries meaning as you know China Japan South Korea we're meeting with a lot of different countries I'm going to Vietnam I'm going to the Philippines after that for big conferences so I'll be meeting with a lot of people. I would sit with anybody I feel. I don't think it's strength or weakness. I think sitting down with people is not a bad thing. So I would certainly be open to doing that. But we'll see where it goes. I think we're far too early. Sharyl: I don't know how closely you're monitoring some of the military movement but three U.S. aircraft carrier groups I'm told will be in the area of North Korea during your visit of Korea. What is North Korea's dictator to make of that? Surely that's some sort of perhaps message. President Trump: I don't know if it's a message look we have a very very getting stronger military. We are spending a lot of money on our military that we weren't spending over the past long period of time it's been depleted and now it's growing very fast. We're ordering new ships we're adding tremendous numbers of plane the greatest plane in the world right now. As you know the F-35 were under tremendous numbers of fighter jets we're ordering beautiful new equipment for the Army for the Marines the Air Force is really looking strong and it really was not looking as good as it should look. Now we're putting yourself in a position where we'll be stronger than we ever have been ever in our history proportionately and otherwise.